Coaches - CrossFit Tigard P.A.W. My goal is to offer you the whole package. A safe, effective and fun program. A professional staff of trainers and coaches. A clean environment with the best equipment available. A robust class schedule. And a supportive community of members who want to improve and to see each other improve. After 5 years specializing in Nutrition as a Registered Dietitian and another 7 years developing fitness programs as a gym owner, I have personally seen how the combination of sensible nutrition and smart, intense training can dramatically change lives. We want you to be happy with your results and achieve your goals; stay fit, healthy, and injury free; and have one heck of great time along the way! Get in touch with me any time you would like to meet up for coffee and setup a plan to crush your health and fitness goals! I have always loved sports and being active but have always struggled with my weight and body image. When I was introduced to CrossFit in 2013 working out took on a whole new meaning. Learning to move well, lift efficiently, and work hard was a huge game changer for my fitness and self image. I have taught in the Sherwood School District for 9 years, currently teaching 2nd grade. To say Crossfit changed my life would be an understatement. I moved to Corvallis, OR in 2013 to start my Master’s program at OSU. I did not know a single soul. Crossfit was pretty trendy at the time, and I had a few friends back home who recommended that I try it, not only for the good workout, but for the friends and community. 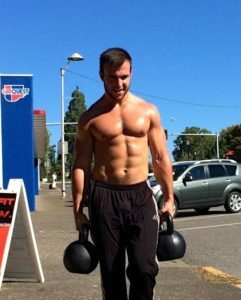 It wasn’t hard to find a local gym, and after a couple google searches, I found a Crossfit gym. I was hooked. Crossfit, and its community, has provided me opportunities that I would have never had otherwise. The support of the community and my new friends got me through my grad program, and into my career. The sport itself instilled in me a dedication and resiliency that cannot be found in many other places. Missy has a lifestyle that has always been on the go and packed from sunrise to sunset. 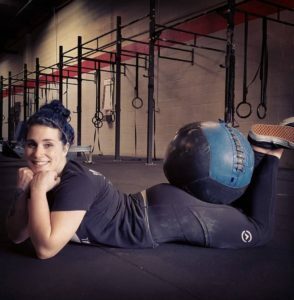 She thrives in an environment full of positivity, fun, and some good competition – which is why she loves CrossFit and Olympic Weightlifting. 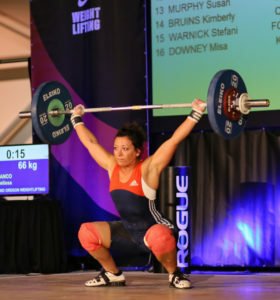 Missy lives in Tigard with her 2 boys, Elija and Memphis – both competitive athletes in wrestling and Olympic weightlifting. Her youngest son Memphis – age 7, is on the Olympic Weightlifting team that she coaches alongside with her brother, Jordan Franco. 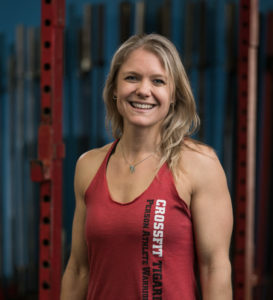 Missy found CrossFit in 2012 and has enjoyed all of it’s benefits, community, and people, but most importantly the foundation of living a happy and healthy life no matter what age and how busy your life can be. Her mission is to share her knowledge for everyone, no matter what shape, size, or athletic ability to live a long, healthy, happy life. Cody began small, training people from home, then worked at corporate gyms and for several years owned his own fitness studio. 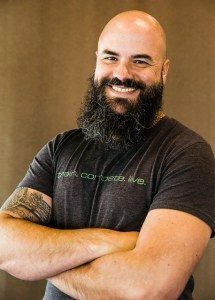 Cody now has over a decade of training experience and has coached thousands of hours. Whether your goal is losing weight, regaining a former fitness level or training for a specific competition, Cody can spin your diligence, enthusiasm, and persistence into fitness gold. I had years of “gym rat life” under my leather lifting belt, waking up early to lift at Gold’s with my dad before class, but there was no structure, no goal, and no hunger for achievement. When I finally attended my first CrossFit class, that had all changed. I was immediately ignited by new challenges, new movements, new toys, and a new kind of competition – me against myself. I read everything I could get my hands on and attended every clinic I could, and I knew early on that coaching was the best way I could give back everything that my CrossFit community had given me – a sense of accomplishment every day, a sight for heights I didn’t know were possible, and a family of shared values. With a background in strength training and having been introduced to olympic style weightlifting via CrossFit, I grew a love and obsession for the pursuit of precision weightlifting. In my 7 years of coaching, I have poured my passion into specialized weightlifting programming and have pursued a competitive athletic career myself. Lead by example and share your love – and my love is sport and strength! 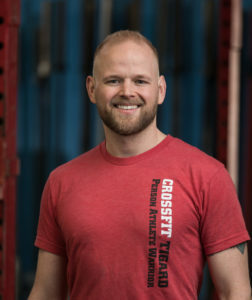 Brad has been coaching mornings with CrossFit Tigard since 2013. He is as nice as he is strong. And HE IS STRONG. Strike up a convo on weightlifting or nutrition with brad and you’ll quickly see how passionate he is about training and health. 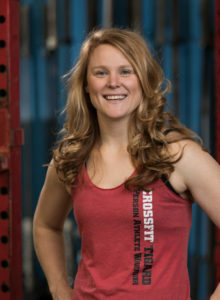 Jess has worked in the fitness industry since 2003 and instructed at CrossFit gyms since 2009. 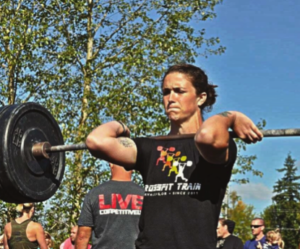 She offers Personal Training, Gymnastics Coaching, and Coaches a Women’s Barbell Class in addition to our BootCamp and CrossFit classes at CrossFit Tigard. I have a passion for fitness as well as helping others achieve their goals and keep them for a lifetime of health. I understand what its like to go thru major life changes and set backs in fitness. After being a competitive athlete surrounded by sports and adventure since I was a child, I underwent a serious back surgery in 2004. I found it extremely hard to get in shape again. 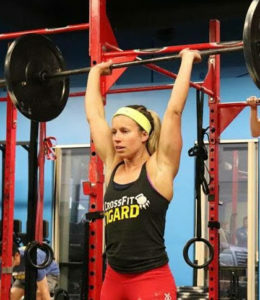 CrossFit and F.I.T. classes have improved my overall athletic strength and ability incredibly over the last 4 years of being a part of the CrossFit Tigard PAW community. The key to my success was learning how important body form/posture is while working out, and focusing on functional movements in my training. Now I share these lessons with others as a coach. I’ve even led outdoor group workouts to locals and other travelers while exploring the world. Did I mention that I am an undefeated Muay Thai fighter on the island of Koh Phi Phi, Thailand? It is important to remember that we all have to start from somewhere if we want to be the healthiest and fittest we can be. And if you are going to do it, why not do it in this great community that welcomes you in like family? I want to see you become mentally and physically stronger and more confidant about yourself and I’ll do my best to help you get there. It’s hard for me to envision what my life would look like today without athletics (or physical activity in general for that matter). Starting out, I didn’t have a natural relationship with fitness. For me it was changing bad habits, prioritizing sleep, working through soreness, trusting the process, self-belief, and it was, well…IT IS at times uncomfortable. The thing is, there is no finish line with bettering your fitness level and self-development. In CrossFit, support, measuring progress, and performance are all key focuses. I am someone who never got excited about doing sets on a machine. I needed a goals focused program that allowed me to see my strength & conditioning progressing both in and outside of the gym. I needed community to push my limits and help me get out of my own way. I needed to perform. It’s no wonder it didn’t take much for me to become addicted to CrossFit. I started out my fitness journey as a competitive distance runner and dance professional. I hit a plateau and started CrossFit as a means to get ready for an upcoming dance audition. I didn’t end up just drinking the CrossFit cool-aid but injected it into my life IV status. I ended up falling in love with the sport of CrossFit and centered my days around working out and helping others in my community to better themselves. I pursued a path of coaching and here we are a couple years later!